Most of my cupcake recipes yield 24 cupcakes (except Chocolate Chip Cookie Dough Cupcakes and many Martha Stewart’s Cupcake recipe book yields anywhere from 12 to 48). Sometimes, you want a cupcake, but you don’t want to keep eating them for the next week and a half. So, based on a recipe from howsweeteats.com I adapted this recipe and created a frosting for a family of four. Craving cupcakes? Need a few cupcakes for a first birthday photo shoot? Need some small but festive dessert to give to that mom who just had a baby? 1. Line a cupcake tin with 4 cupcake liners. Preheat oven to 350 degrees. 2. In large bowl, whisk together the egg whites and sugar. Stir in the melted butter and vanilla. 3. All at once, stir in the flour, baking powder and salt. Keep stirring until everything is smooth and well-combined. Add milk and stir until incorporated into the batter. 3. 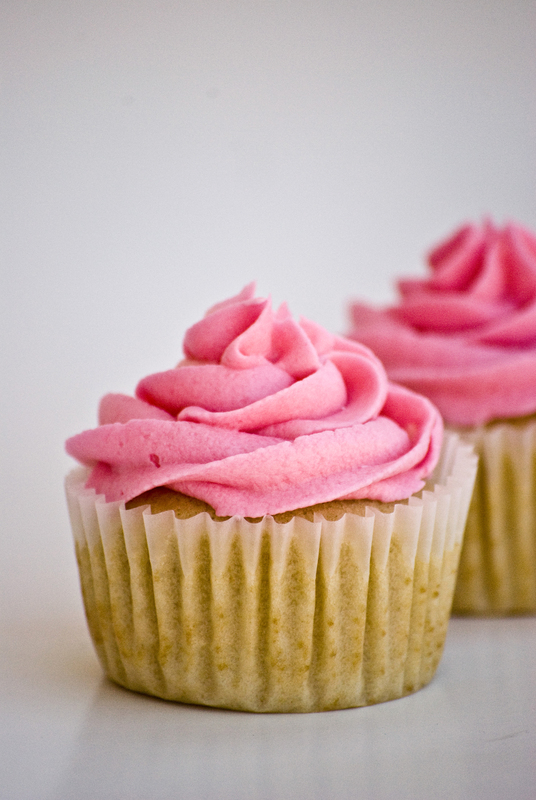 Fill each cupcake liner with 3 Tbs. of batter. I love my large cookie scoop for this. 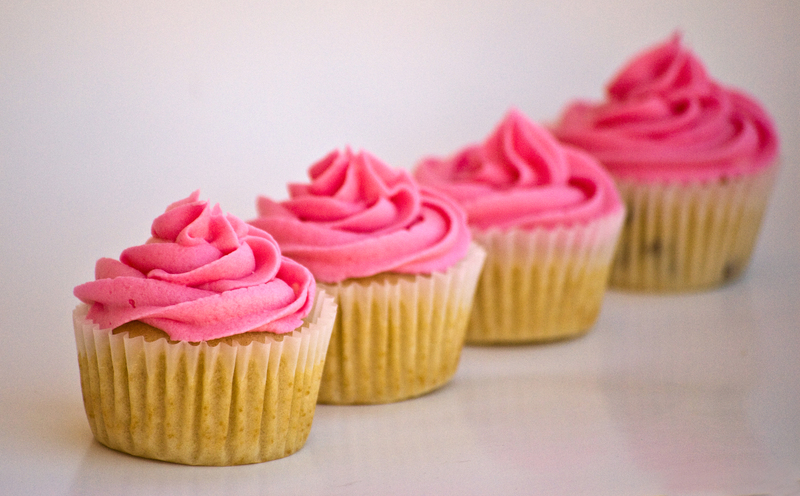 If you don’t have one, simply divide the batter evenly between the 4 cupcakes. 4. Bake 11-13 minutes. The cupcake should pass the toothpick test. Cool Completely. **I added mini chocolate chips to the last part of the cupcake batter before putting it in the pan. This is why cupcake #4 looks like a chocolate chip cupcake. You could also give each family member their own mix ins or fillings. 1. Beat or stir briskly the butter, milk and vanilla. 2. On low, or slowly, add powdered sugar 1/4 cup at a time. Incorporate your powdered sugar before adding the next installment. Add more milk if needed. 3. Pipe onto cupcakes and eat! Cupcakes are best the day they are made. Refrigerate if you will not be eating them in about 6-8 hours. Just the recipe I need! The kids saw this and now want me to make 4 cup cakes. And now are arguing about whether we could make 5 cupcakes instead. Some cream cheese in the icing would also be yummy. Drool Cream cheese icing. Make 1 1/2 recipe and have 6? Or just eat them after Henry is in bed! Love this idea. I crave cupcakes all the time but don’t want 20 extra laying around to tempt me. This is brilliant! you mentioned salt in frosting instructions but not in ingredients list…should there be salt???thanks! I’m sorry. No, salt should not be in there. I probably tried it without and with, but accidentally put it in the final instructions. Thank you so much for letting me know! I appreciate it! 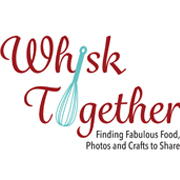 site and located your article, “Cupcakes for Family of Four | Whisk Together”, will you mind in the event I use a number of ur concepts? Thank you for sharing the recipe. I baked for my daughter’s birthday and we loved the cupcakes! DELICIOUS! GRAT JOB ON THEM!